China appeared to weather the global economic downturn better than most. But massive local government debt could bring growth to a screeching halt. China’s remarkable economic rebound after the global economic crisis in 2008-2009 has been a source of envy and puzzlement for the rest of the world. Instead of recession, the Chinese economy has recorded double-digit growth, and is actually showing signs of overheating – a sharp contrast with the stagnation in most Western countries. How did the Chinese do it? Perhaps advocates of ‘Chinese exceptionalism’ are right after all: Beijing has found a secret formula of economic success that has eluded the West. Part of the answer to this mystery was given in late June by the Chinese government. It turns out that Beijing has managed to keep its economy growing during the global slump by resorting to massive bank lending to local governments, which then went on an infrastructure spending binge that’s certain to haunt the country for years to come. If we remember the causes of the economic crisis that has ravaged the United States and Western Europe, the most important one is something euphemistically termed ‘credit boom’ – excessive lending and borrowing that fuelled housing bubbles and unsustainable consumption. China seems to have been afflicted with the same disease, with only one major variation: much of the debt incurred in China has gone into the infrastructure sector, not consumption. So much for Chinese exceptionalism. 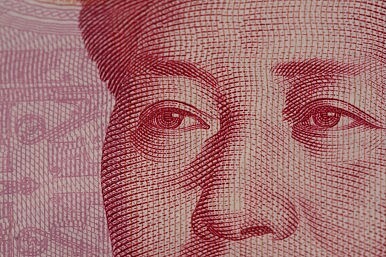 Based on the figure released by the National Audit Office (NAO) at the end of June, local governments have accumulated debts totalling 10.7 trillion renminbi (RMB) or $1.65 trillion – about 27 percent of China’s GDP in 2010. Because the NAO’s figure was based on a sampling of 6,500 local government-backed financial vehicles (out of more than 10,000 such vehicles nationwide), the actual magnitude of local government indebtedness is much greater. The People’s Bank of China, the central bank, recently estimated that local government debt totalled 14 trillion RMB (most of which was owed to banks), almost 30 percent higher than the NAO figure. Several interesting questions are raised by the revelation of local government debt in China. First and foremost, it has shown that public finance in China is in much worse shape than previously thought. On paper, China’s debt to GDP ratio is under 20 percent, making Beijing a paragon of fiscal virtue compared with profligate Western governments. However, if we factor in various government obligations that are typically counted as public debt, the picture doesn’t look pretty for China. Once local government debts, costs of re-capitalizing state-owned banks, bonds issued by state-owned banks, and railway bonds are included, China’s total debt amounts to 70 to 80 percent of GDP, roughly the level of public debt in the United States and the United Kingdom. Since most of China’s debt has been borrowed in the last decade, China is on an unsustainable trajectory at the current rate of debt accumulation, particularly when economic growth slows down, as it’s expected to do in the coming decade.